So apologies, this was meant to go up last night but, as I'm currently in the states, I had issues with time differences and security settings etc. 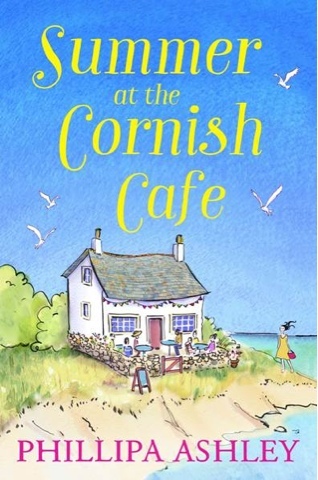 so better late than never, here is the cover of the new Phillipa Ashley novel: summer at the Cornish Cafe. So summery and lovely right?! This book is out on 5th May to help get you in the mood for a wonderful British Summer!